Only two hours from Tokyo by Shinkansen. 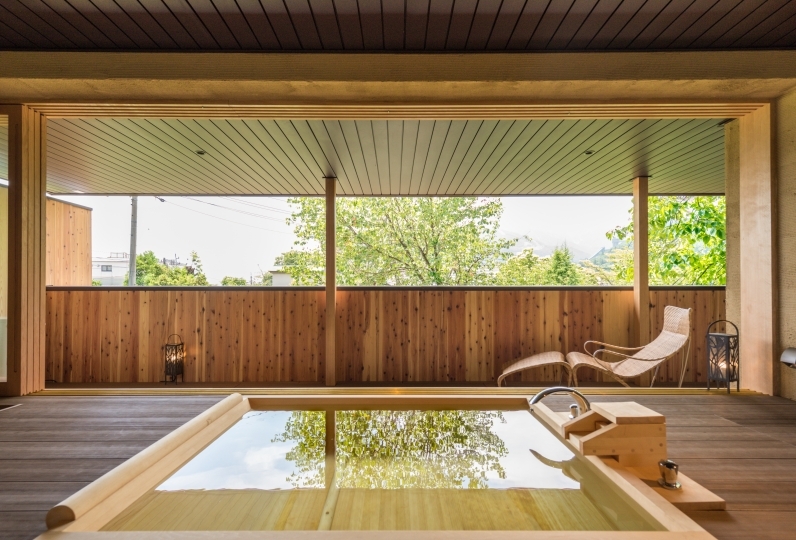 Located in Ueda in Shiodadaira, Bessho Hot Spring is the oldest hot spring in Shinshu. In the town, many ancient temples still remain, giving it a nostalgic feeling. 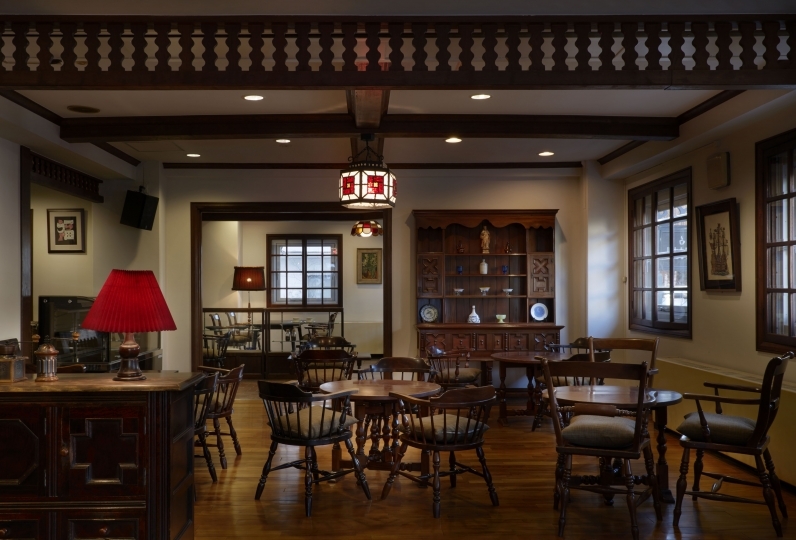 Ryokan Hanaya was built in the sixth year of Taisho and about 80% of the wooden buildings in the 1500 square meters zone has been selected as cultural property by the Agency for Cultural Affairs, ensuring history still remains in the land of Bessho. 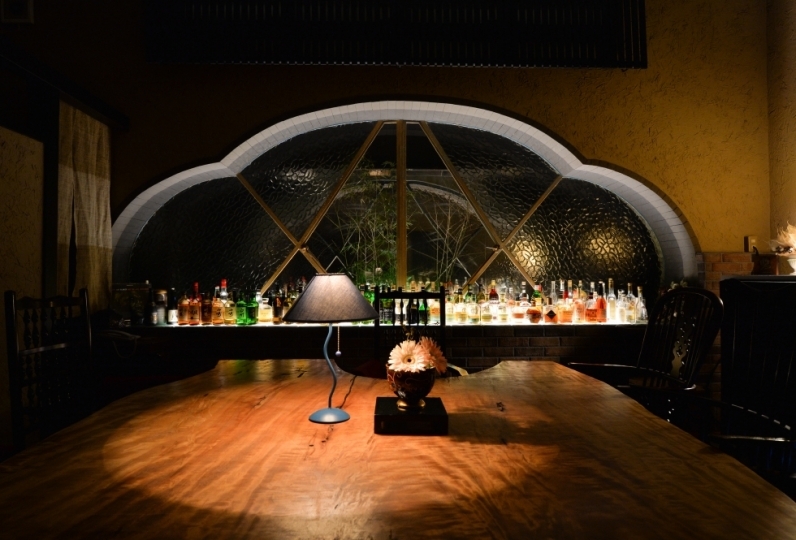 The interior has the beautiful retro atmosphere built by Miya carpenters of Bessho. Corner strips, a ranma and a stained glass enhance it. 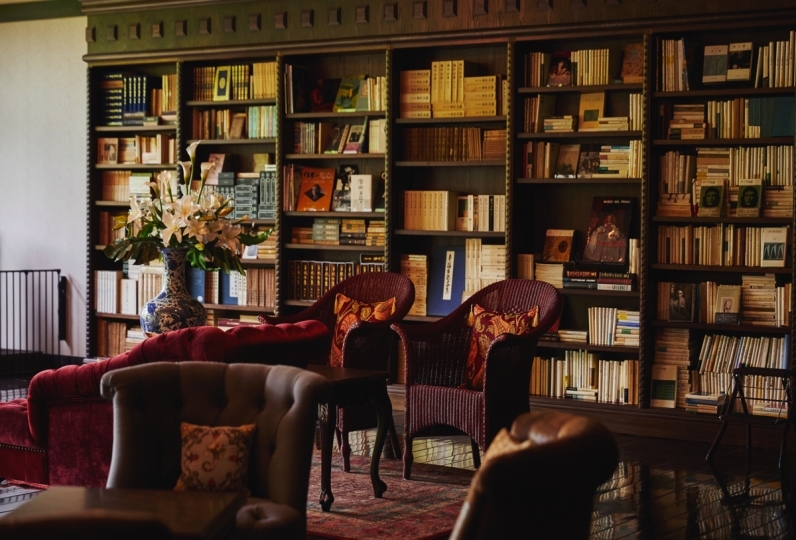 The view of special furniture is lightened by a light of a lamp and chandelier and attracts the mind of a traveler. 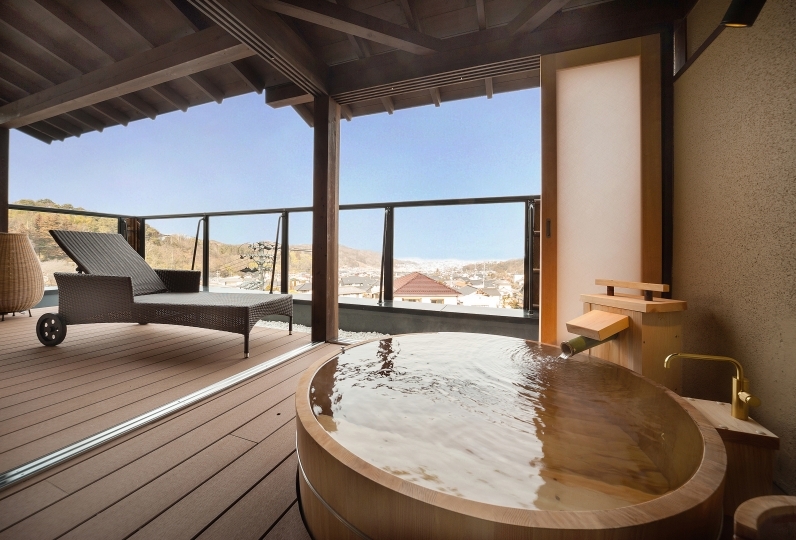 The guest rooms have luxurious stone baths with water flowing directly from a natural hot spring source; a rarity in Japan. 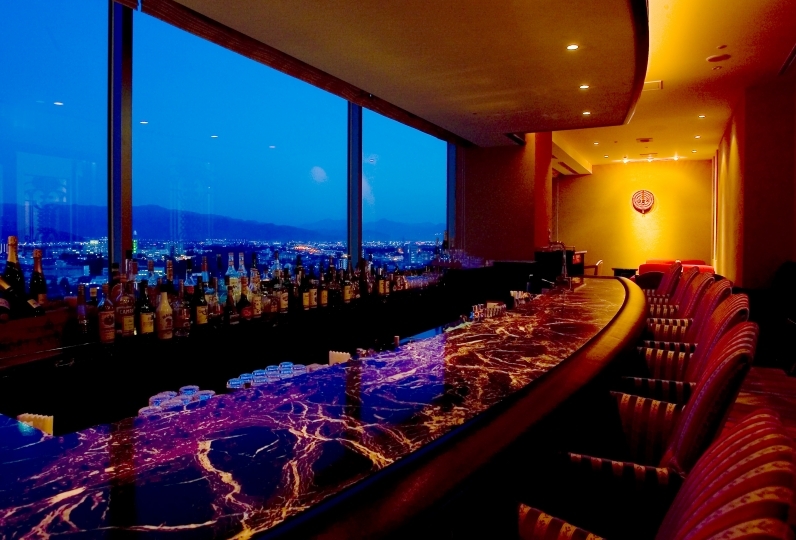 From the room, you will see the nature of Ueda changing every day. 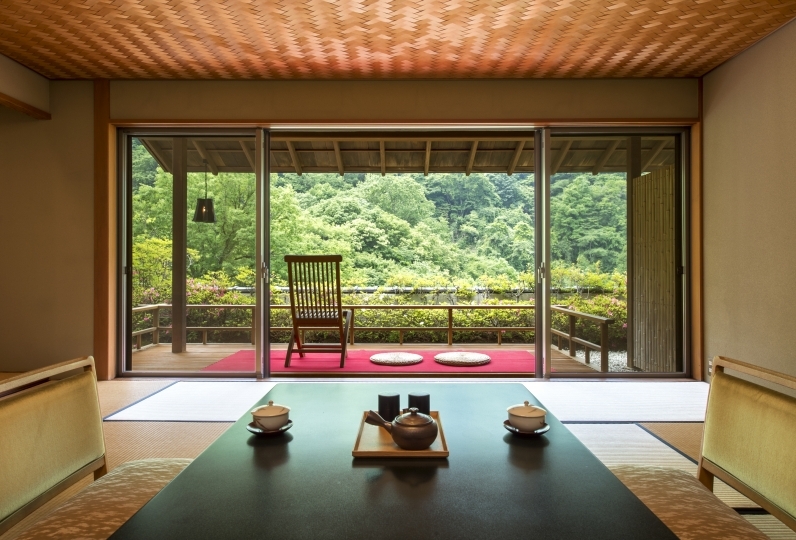 Private space with relaxation lets you relieve your heart and offers the charm of Ryokan Hanaya deeply. 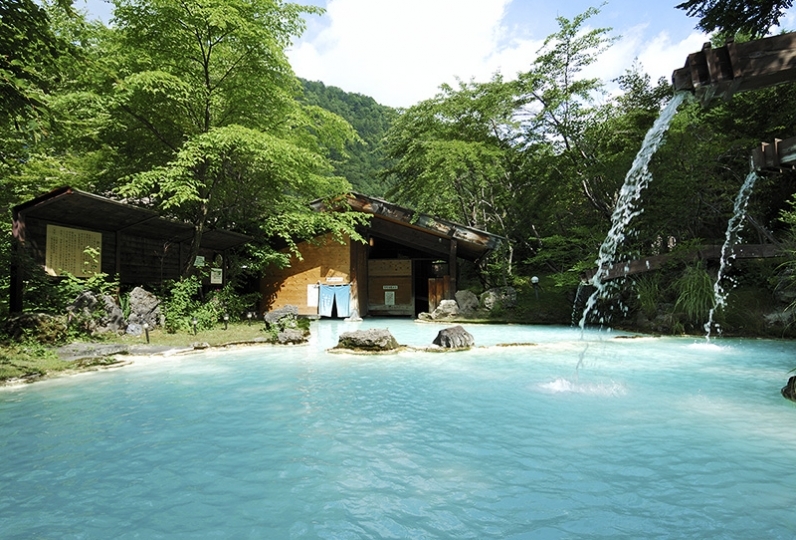 Bessho hot spring is well known for the water quality. Hot water flowing from the source of hot spring gives us a moist skin with warmth. 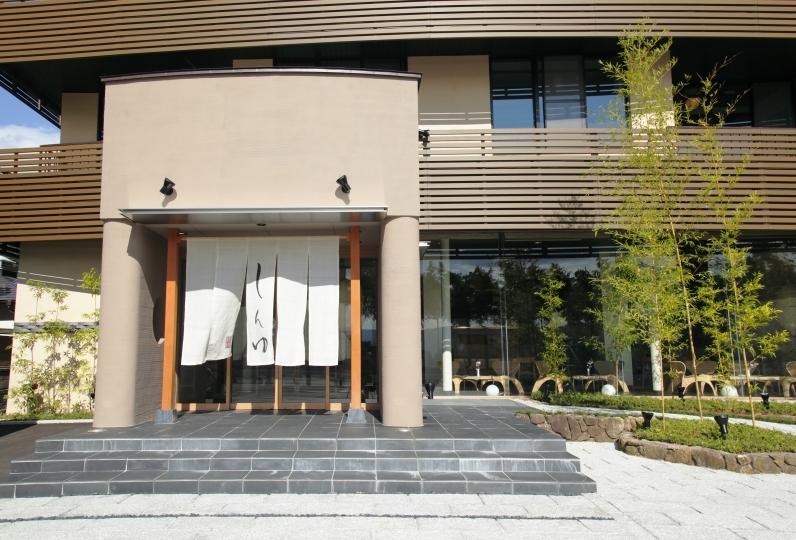 The public spa has two interior baths of marble or Izu grass stone and the outdoor spa bath of rocks. These will contribute to healing your body. Your dinner would be the original Japanese style cuisines (Kaiseki). The techniques enhance the deliciousness of the natural flavors of the food. Our food has a great reputation among our visitors. Bessho hot spring town has lots of charms besides the Ryokan and a leisurely walk around streets is a good way to experience it. Kitamuki-Kannon faces the Kannon-Sama at Zenkouji Temple and paying a visit to both Kannon-Sama is highly recommended. Enjoy visiting the national treasures: the three storied pagoda in Anrakuji and the Tendai sect's exceptional Jorakuji. Enjoy wandering around the hot spring town's unique souvenir shops, and experience the outside hot spring and foot-baths. The hot spring town was established over 1200 years ago and while slowly strolling around the town, the solemn air of history and ancient temples  will cleanse your mind. 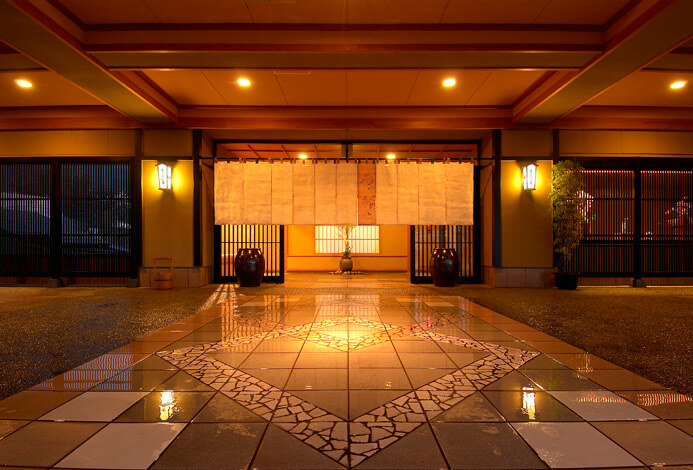 When leaving the Ryokan, both mind and body will be satisfied with the charms of the streets of the history and the hot spring. You will start everyday life with a fresh feeling. It was an old inn, but the water around was new, clean and tidy, and it was a good inn. The food was very delicious and delicious, and it was a meal that made you smile. This time I was indebted to my daughter and two, but I would like to take care of my parents. It seems that the movement of the dining room and the room is severe .... I want to challenge. After breakfast, the coffee I got in the lounge was very thin. It is a pity that I was crawling from beans. 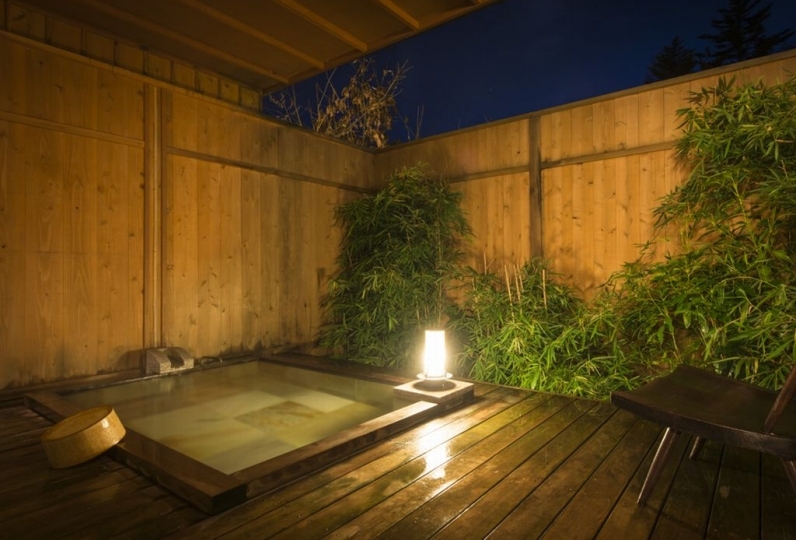 Although it was a room with a bath in a remote room, the view of the garden from the inside was normal, but it was able to relax slowly in a Japanese-style room of old-fashioned cozy. The bath was able to take a bath for a long time with smooth undamaged hot water. Northern Kannon is also close to the inn and it is a good distance feeling for a walk until dinner. For dinner I got a lot of Nagano prefecture material and got delicious with sufficient number of items. Breakfast did not feel like rare especially at breakfast of the ryokan, but it was delicious. Ijima shop's jelly was delicious. I put the guide of the facility into the course, but the room of the cherry blossom viewer was wonderful so I would like to stay even in another season. In addition to a bath of guest rooms, we have 3 kinds of grand spas. All spas offer water flowing from the source of natural hot spring. Liberated, open-architecture, high and graceful dome ceilings. With a light spilling from a stained glass feeling like a Taisho Roman. Lots of Izu stone (Izu grass stone) prevent guests from catching a cold after their baths. 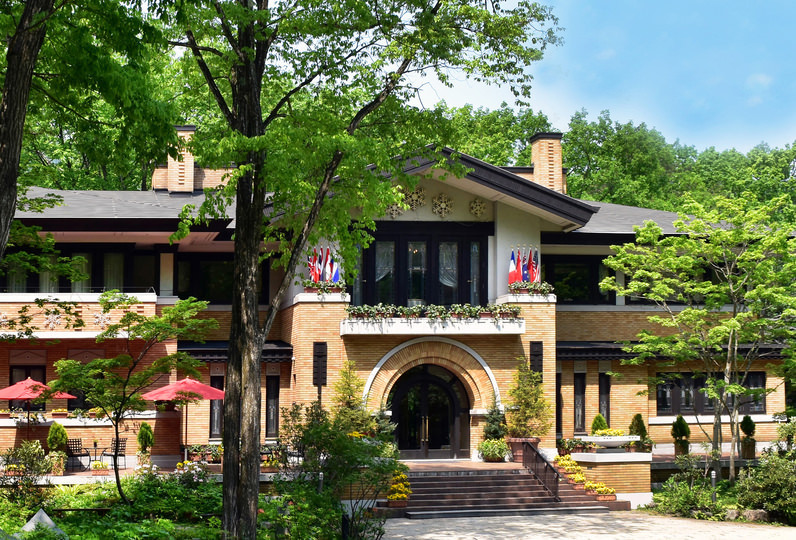 From the large glass windows you can overlook the lush trees. The outdoor bath of our inn is located in an area surrounded by trees by passing through a corridor of trees. There are benches on the way sp you can take a break. Use it by all means. ・A bath tax (150 yen) is not included. A child under 3 years old can stay and sleep by the side of parents without any charge. A courtesy bus runs from Bessho Onsen Station to the Ryokan.